6.7 fl. oz. bottle. Ultra-gentle milky cleanser. 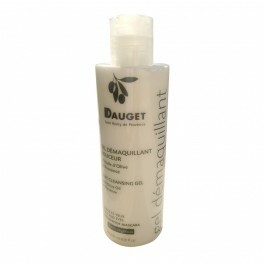 Removes impurities and make-up, clarifies and hydrates skin, brings a pleasant feeling of freshness. Paraben free. Organic Olive Oil, Calendula Extract, Sweet Almond Oil, Cornflower Floral Water, Wheat Germ Extract, Camomile Floral Water, Glycerol.